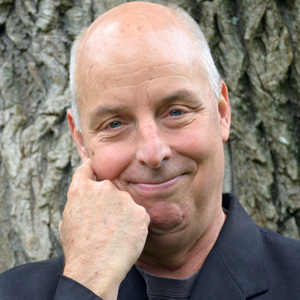 Two-time Grammy-award-winning songwriter, storyteller, author and humorist Bill Harley will kick off the 29th season of the Rose Garden Coffeehouse in Mansfield, Massachusetts, at 8 p.m. this Saturday, Sept. 16. Harley, who lives in Massachusetts, uses story and song and humor to paint a picture of growing up and family life. Known by many for his astute and thoroughly entertaining children’s recordings, Harley’s music crosses generations and his show in Mansfield will be geared toward adults. He is expected to be joined on Saturday by fiddler Rachel Panitch (fiddler) and bass player Marty Ballou. Bill Harley will perform at the Rose Garden Coffeehouse, in Mansfield, Massachusetts, on Saturday, Sept. 16, 2017. Harley began storytelling and singing in 1975 while in college. A prolific author and recording artist, his songs are joyous, direct and honest, with details of daily life told and sung from a slightly off-center point of view. “Humor is my weapon,” says Harley of his award-winning recordings. In addition to his Grammys, Harley is the recipient of a Lifetime Achievement Award from the Rhode Island Council for the Humanities. 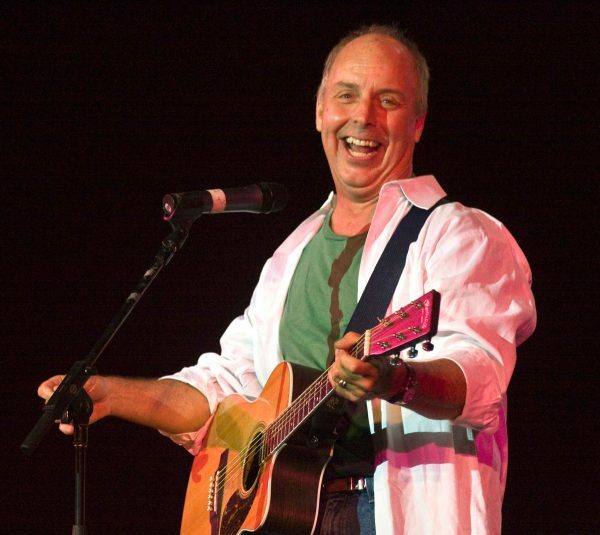 He also has garnered numerous other national awards, including Parents’ Choice, NAPPA (National Association of Parenting Publication Awards), ALA (American Library Association) and the highest honor from the Oppenheim Toy Portfolio for his concert DVD, “Yes to Running!” filmed in conjunction with Montana PBS. It will be Bill’s first time at the Rose Garden, a coffeehouse held in the Congregational Church in Mansfield. The Rose Garden Coffeehouse, is a 501(c)(3) not-for-profit organization entering its 29th season of continuous operation. The event will start at 8 p.m. in the Congregational Church, 17 West St., Mansfield, Mass.. It’s wheelchair-accessible and alcohol-free. Tickets to attend the event can be purchased online at www.rosegardenfolk.com for $16, and for $18 at door. The Rose Garden’s all-volunteer staff serves home-baked dessert items and hot and cold drinks of the season before the show and during intermission.